Erythrina acanthocarpa is a small tree or large shrub. The Tambookie Thorn will grow to 6 - 8' in time. Erythrina acanthocarpa is hardy to the upper 20°s F, and may come back from the fleshy root if conditions get too harsh. The Tambookie Thorn is native to South Africa. The trunk tends to get quite large compared to the rest of the plant. This makes Erythrina acanthocarpa a great bonsai or caudiciform looking specimen tree where they can be grown. 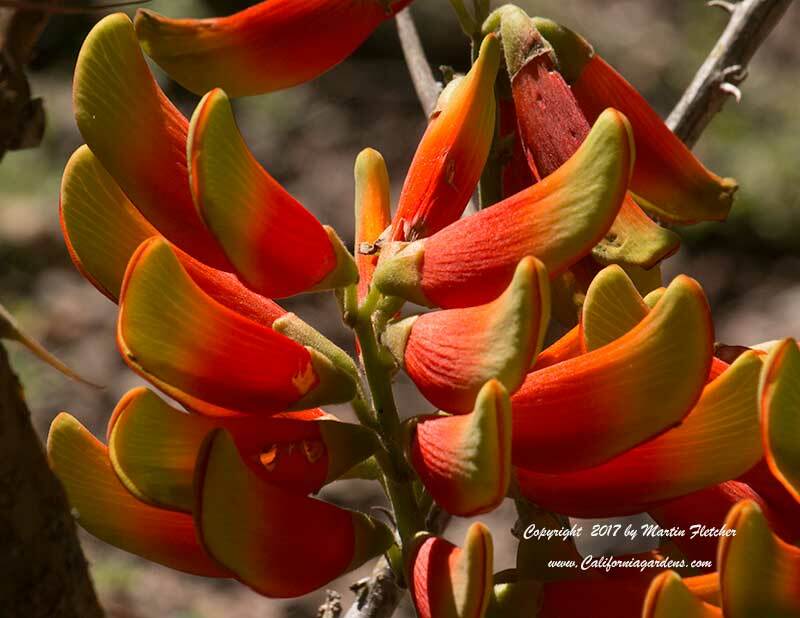 Orange and yellow flowers of Erythrina acanthocarpa - Tambookie Thorn. High resolution photos are part of our garden image collection. 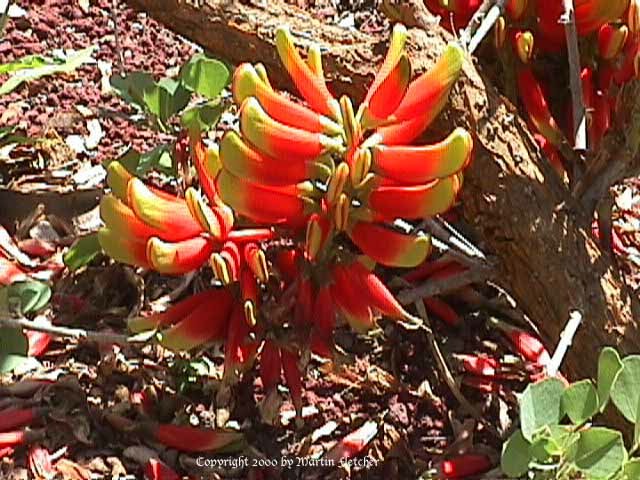 Colorful flowers of Erythrina acanthocarpa - Tambookie Thorn. High resolution photos are part of our garden image collection.